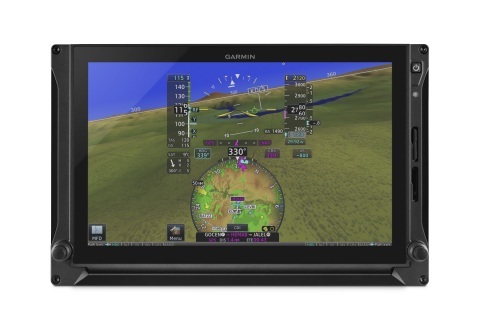 Garmin announced the touchscreen G500 TXi, G600 TXi and G700 TXi flight displays, as well as the engine information system (EIS) TXi. Boasting a clean-sheet touchscreen design and vibrant presentation, the TXi family incorporates greater situational awareness tools and an innovative feature set into a contemporary avionics platform. Three displays are available, offering optimal flexibility for panel configurations, including a large 10.6-inch display, and two versions of 7-inch displays, in portrait and landscape orientations. The 10.6-inch display can operate as a primary flight display (PFD), multi-function display (MFD) and optional integrated EIS in a highly customized package, while the 7-inch portrait display can be dedicated to any one of those functions. The 7-inch landscape display is available exclusively as a dedicated EIS solution. The G500 TXi system is intended for Part 23 Class I/II aircraft under 6,000 lbs. and the G600 TXi flight displays are intended for Class III aircraft that weigh up to 12,500 lbs. The G700 TXi is exclusively for Part 23 Class IV and Part 25 aircraft that weigh greater than 12,500 lbs. 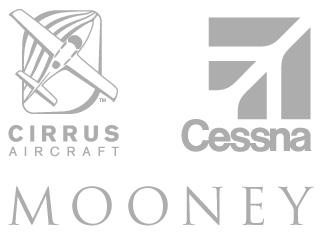 Supplemental Type Certificate (STC) for the G500 TXi/G600 TXi and EIS TXi systems are targeted for approval in Q4 2017, which will feature a comprehensive approved model list (AML) containing over 600 single-engine piston, twin-engine piston and turboprop aircraft makes and models, offering the most configurable, state-of-the-art glass flight display solution in the market. The TXi family incorporates a familiar touchscreen design with modern processors that support improved map and chart rendering, faster panning and contemporary single-finger zoom and pinch-to-zoom gestures. Through any combination of the touchscreen or dual concentric knobs, pilots can quickly access and view flight information at a glance. Modernized displays and large fonts offer improved readability, while the simplistic user-interface helps reduce overall pilot workload. Pilots will also appreciate a familiar in-flight experience behind the TXi series as the user interface is harmonious with multiple Garmin products, such as the GTN™ 650/750 touchscreen navigators. 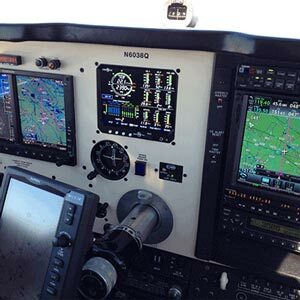 Multiple panel configurations and display orientations allow pilots and aircraft owners to better leverage their current or future avionics investment. 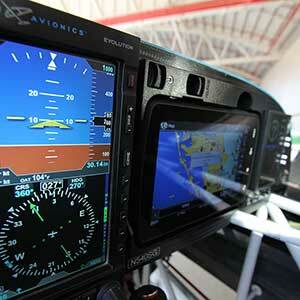 Three display formats support 26-approved cockpit configurations and over 600 aircraft makes/models. Installation configurations vary as the TXi family is also capable of displaying engine information on a dedicated 7-inch display or in split-screen mode on the 10.6-inch display. Up to four displays can be installed in a single cockpit, offering superior scalability in hundreds of aircraft. Contributing to a streamlined installation and simplified maintenance, the TXi displays are available with integrated attitude and heading reference system (AHRS) and a display-mounted air data computer (ADC), typically alleviating the need to separately locate, mount and wire these sensors. As an additional option for remote mounting, a combined air data and attitude heading reference system (ADAHRS) is available or AHRS and ADC are available separately. Installation is further minimized for aircraft with an existing G500/G600 as the TXi series are compatible with previously installed Garmin sensors. The TXi family will also interface with the new GFC 600 autopilot and is compatible with a wide range of additional third-party autopilots available on the market. Available as an integrated solution within the 10.6-inch G500 TXi and G600 TXi system or as a standalone 7-inch EIS display, the TXi series display real-time engine indications in an easy-to-read format. The TXi family supports various features, including lean assist mode, pilot-configurable advisories and more, providing pilots with the opportunity to achieve greater fuel economy, improved engine efficiency and superior engine operation. Compatible with single-engine and twin-engine normally aspirated or turbo-charged aircraft, the EIS TXi system supports Lycoming or Continental 4/6-cylinder engines, offering a broad range of aircraft compatibility. The integrated EIS TXi solution also allows for a variety of integration possibilities with the G500 TXi and G600 TXi glass flight displays. When the EIS TXi system is paired with a GTN 650/750 and Flight Stream 510, Connext® automatically downloads engine and other flight information to the Garmin Pilot™ app on an Apple mobile device, which is then synced to flyGarmin.com®. The flyGarmin® website allows pilots to view information such as track logs, cylinder head temperatures (CHT), exhaust gas temperatures (EGT), oil temperatures and more. Pilots can also view flight parameters such as altitude and airspeed alongside an interactive moving map on the website. In addition to wireless engine and flight data downloads to Garmin Pilot, data can also be logged and stored on an SD card within EIS TXi. When the TXi series is paired with a GTN 650/750 touchscreen navigator, Connext wireless connectivity offers additional capabilities. Flight Stream 510 is an option with the GTN 650/750, which enables Database Concierge, the wireless transfer of aviation databases from the Garmin Pilot app on a mobile device to a GTN and the TXi system. Flight Stream 510 also supports the sharing of a breadth of information with compatible mobile devices running Garmin Pilot or ForeFlight Mobile, including two-way flight plan transfer, traffic, weather, GPS information and back-up attitude information as available. In configurations where multiple displays are installed, the TXi series offer reversionary mode as a single system is capable of displaying all pertinent flight information, including EIS when installed. Additionally, the 7-inch TXi displays are compatible with an optional back-up battery, which can power the display for 30-minutes in the event the aircraft electrical system fails. Aircraft owners that install a dual 7-inch G500 TXi system on the pilot’s side of the cockpit, with dual ADAHRS and a back-up battery can also forego the requirement for standby flight instruments. The TXi family boasts a geographical map overlay within the horizontal situation indicator (HSI) on the PFD, which also supports the overlay of NEXRAD, Flight Information Service-Broadcast (FIS-B) weather, SafeTaxi® airport diagrams, traffic, terrain and more. For example, pilots can overlay terrain within the HSI map, while simultaneously viewing traffic and flight plan information without significantly diverting their attention away from the PFD. It is also easy to navigate within the HSI map as pilots can simply zoom in/out on the map using a single finger gesture. Customizable crew profiles allow pilots to configure and save settings such as audio volume levels, backlight settings, map configurations and more so they can be recalled prior to each flight. Pilots can overlay and animate NEXRAD radar from FIS-B and SiriusXM Aviation weather on the moving map on the MFD. Various global datalink weather products are available when paired with the GSR 56. Automatic Dependent Surveillance-Broadcast (ADS-B) In traffic and FIS-B weather display on the PFD/MFD via the GTX 345 transponder or GDL® 88 ADS-B datalink. GWX™ 70 weather radar compatibility offers four-color storm cell display, as well as Turbulence Detection and Ground Clutter Suppression as options. Support for a wide range of third-party weather radars is also available. Pilots are offered significant savings on database subscriptions as OnePak™ annual database and PilotPak global database subscriptions are compatible with these displays. Pilots can view and alternate between Garmin FliteCharts® or optional Jeppesen charts. Jeppesen VFR Manual charts (formally known as Bottlang charts) are available within Europe and European Visual Reporting Points (VRPs) can be overlaid on the moving map. WireAware™ wire strike avoidance technology overlays powerline locations and relative altitude information on the moving map and provides both aural and visual alerting when operating near powerlines. Synthetic Vision Technology (SVT™) is standard on the G600 TXi and presents a 3D depiction of terrain, obstacles, traffic and the runway environment, providing pilots with an elevated level of situational awareness. SVT is available as an option on the G500 TXi. Compatibility extended to include the GTS™ 800/825 Traffic Advisory Systems (TAS) and the GTS 855 Traffic Collision Avoidance System (TCAS), as well as select third-party traffic systems. Patented TargetTrend™ and TerminalTraffic™ is available with select traffic systems and provides pilots with a more intuitive method of judging target trajectories and closure rates. Compatible with the GRA™ 55 radar altimeter, as well as select third-party radar altimeters. 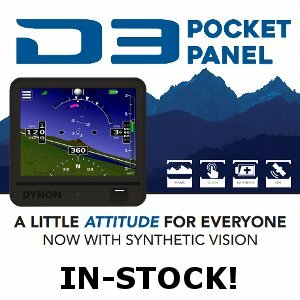 An optional dedicated PFD controller provides pilots with an additional source to make adjustments to the heading bug, barometric setting, altitude bug and more. A back-up GPS antenna is also built into the displays, providing redundancy in the event a primary GPS navigator fails. 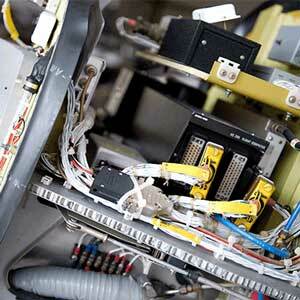 System variants that come with new sensors and variants that support existing G500/G600 sensors are also available. Pricing and availability of the G700 TXi touchscreen flight displays for Part 25 aircraft will be announced at a later date. 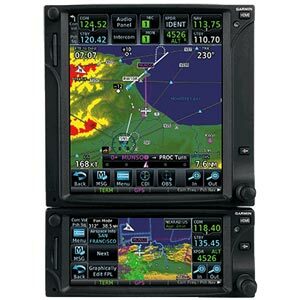 The TXi series also come with a two-year warranty, which is supported by Garmin’s award-winning avionics product support team.